Men, women, and children spent the night in fields at one border crossing on the NAF river. 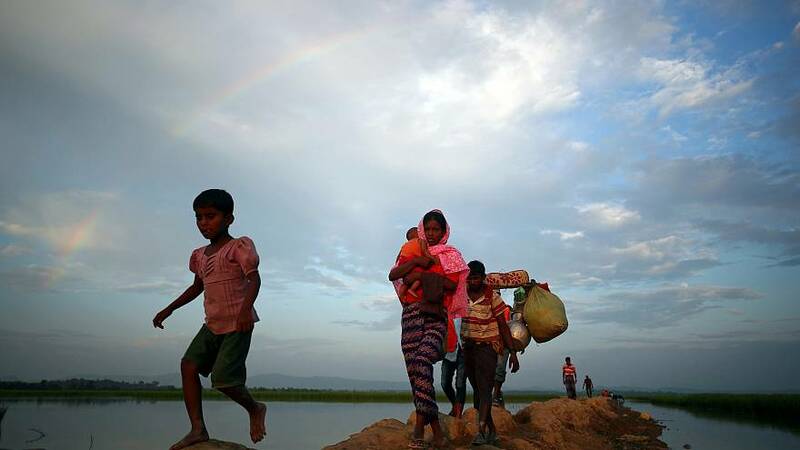 Over 600,000 Rohingya from Northern Rakhine have fled to Bangladesh since Myanmar security forces ‘clearance operations’ in response to attacks on police by insurgents. Aung San Suu Kyi made her first visit as Myanmar’s leader to the conflict-torn Rakhine region on Thursday where the state-led violence has spiraled into Asia’s worst refugee crisis in decades.